The Refractory Pouring Cup is made from high grade material and using technologically advanced machinery. Our organization is involved in manufacturing and supplying of Bottom Pouring Sets ( B.P. Sets). Known features of these sets are neutral in chemical nature and resistant to heat and moisture. Bottom pouring Sets are extensively used in metallurgical and chemical plants. 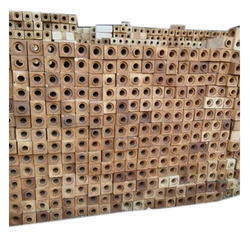 We offer wide range of Bottom Poring Sets as per the diverse requirements of our industrial clients. 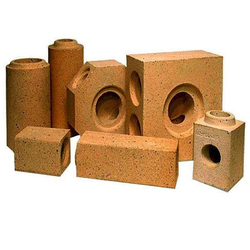 To meet variegated demands of our esteemed clients, we are engaged in offering Bottom Pouring Refractory Sets. These products are highly durable and long lasting in nature. Get here bottom pouring set which contains different types of sized and shapes required by customers. It have safe working temperature which are 1400c and 1450c. BP set 3 x4 : BP set 3.5 x4.5 : BP set 4 x5.